Udaipur, Venice of the East.. It was all excitement and counting of days as soon as we planned a trip to Udaipur, one of the most romantic places in India and also popular as “city of lakes”. Every lane of the city is worth falling in love and network of Seven (7) lakes provide an ideal setting for romantic evenings. 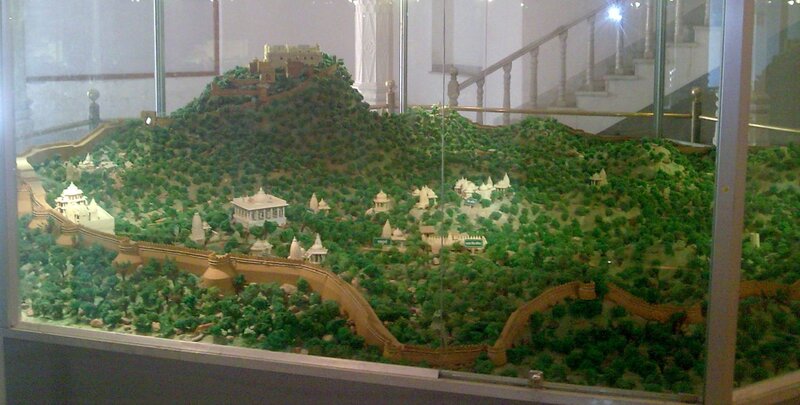 Established by Maharana Udai Singh in 1553, when he shifted the capital of Mewar from Chittorgarh. Udaipur City is one of best examples of Royality defined from India is one of most visited tourist destination across the world. Along with Chittorgarh, Udaipur is a proud constituent of Mewar region. Mewar is the region which has weathered most of the attacks coming from the West to protect India. 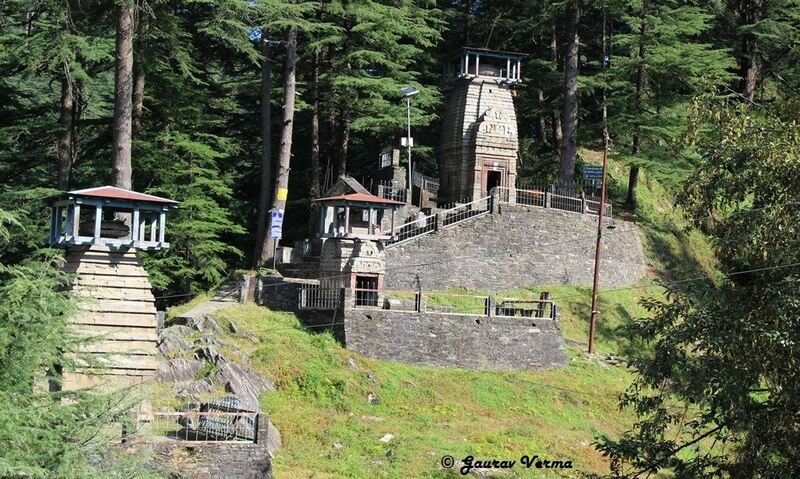 The folk tales of brave Rajputs and Maharana Pratap can be heard at every street and corner of this city. After history hunting at Chittorgarh, it was the time to discover the Grand Udaipur City. 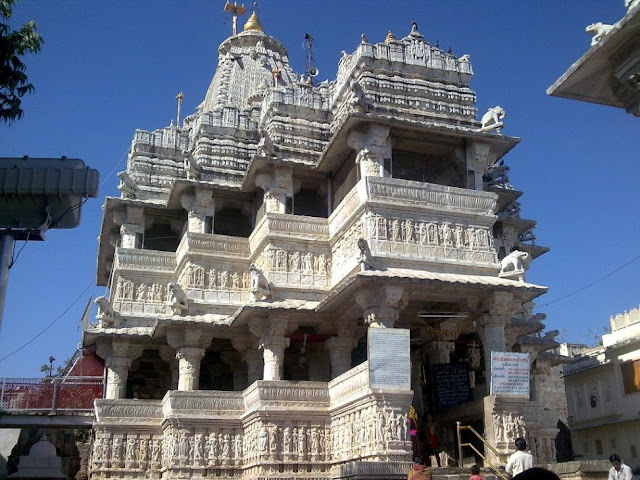 As all good things shall start by prayers; one auto rickshaw driver advised us to first visit the Manshapurna Karni Mata Temple on the Machla Hills and enjoy the ropeway ride to reach the temple on top of hill. 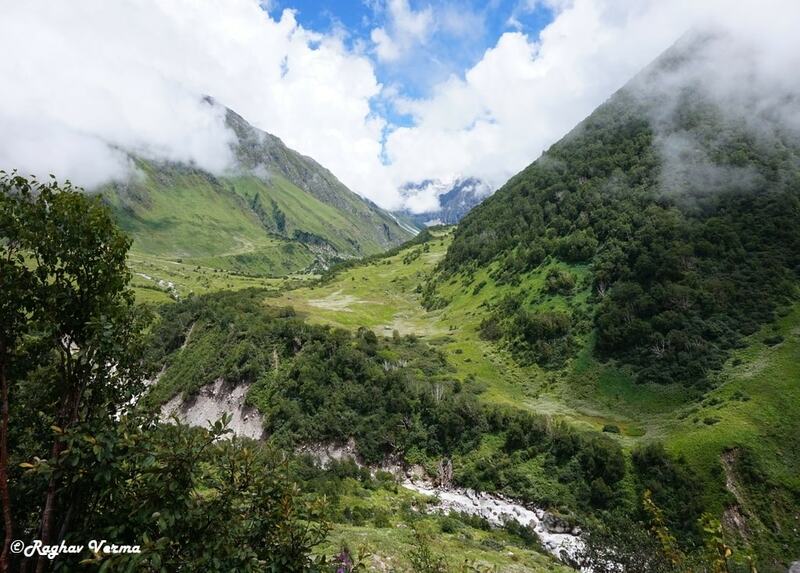 While enjoying the ropeway, one can click some breath taking views of Pandit Deendayal Upadhyay Park adjacent to Doodh Talai Lake. From the ropeway, the distant emerald Lake Pichola was visible and calling us to cherish the legendary boat rides on its blue waters. As soon as we returned from the temple, within no time we were at the boat ride station entry. In the front of us were visible the noted monuments of Udaipur. 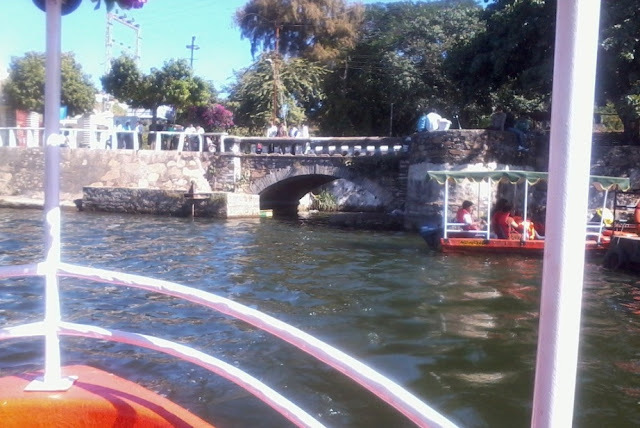 The Boat ride will take you closer to Udaivilas and Lake Palace hotels which are situated in the middle of waters. Lake Palace used to serve as royal residence during summers. All the lakes are interconnected. 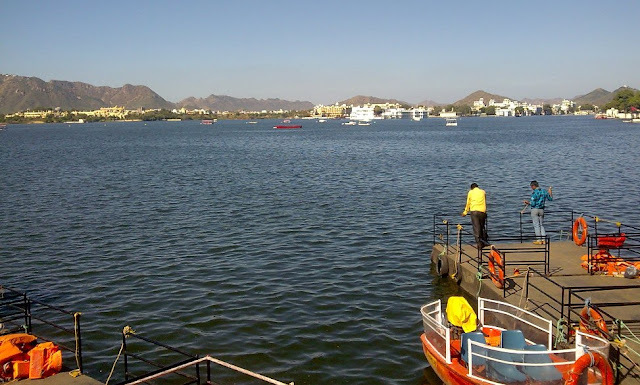 While enjoying our ride, a beautiful channel of connection of Lake Pichola with Fatehsagar lake. Ride turned a full circle and the majestic City Palace, the royal residence of royal family of Udaipur was standing in front of us. Around 200m. 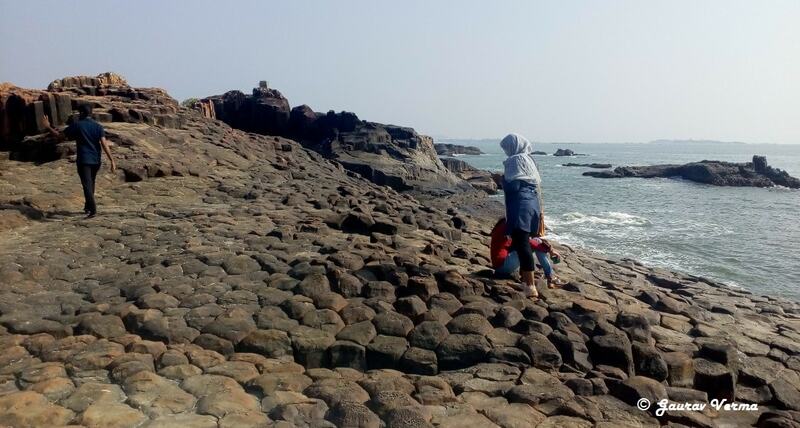 from City Palce is the major attraction and much visited Jagannath temple or Jagdish Temple. It is believed that Lord Jagannath ordered the Maharana to build a temple in Udaipur where the God himself will come to bless this place. This 100 ft. high temple is also an architectural marvel and various mythological stories have been carved on the walls of this temple. 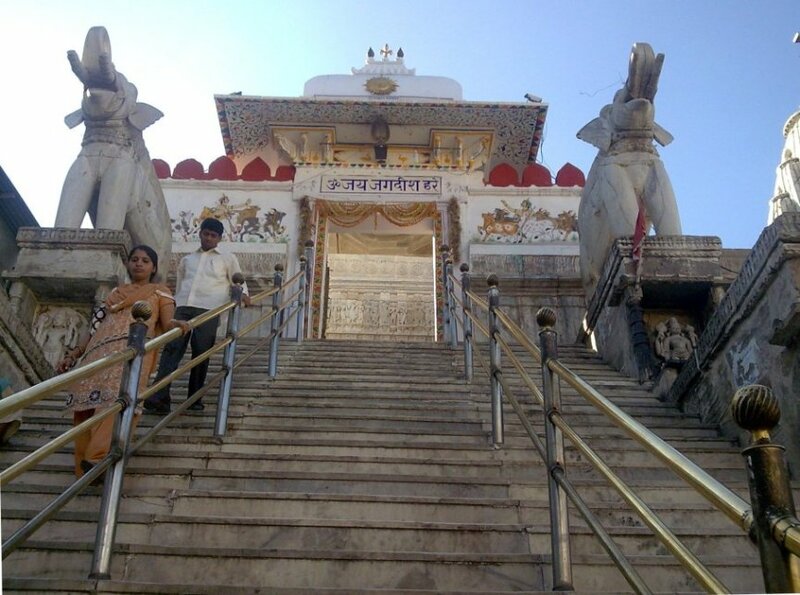 One has to take 32 marble steps to reach the temple. And to welcome the visitors, there stands two huge elephants with its trunk uplifted on either side of the stairs. These elephants were built 11 stones’ blocks with such a craft that the joints are never visible. Lord Vishnu is called as Lord Jagdish here and is the worshipped deity here. 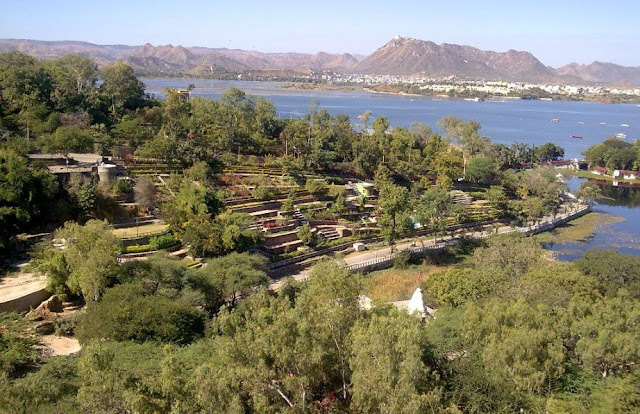 Located at the north of Lake Pichola is the Fatehsagar lake, which is an artificial lake and one of the most popular tourist hangout destinations in Udaipur. Surrounded by Aravalli Ranges, the panoramic lake looks like an artists sketch. It is an ideal place to enjoy some quite moments with yourself or some romantic moments with your beloved. 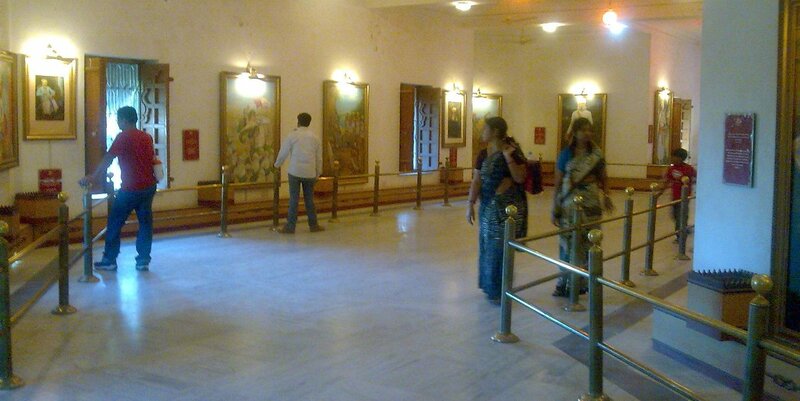 Near to Fatehsagar Lake is the Maharana Pratap Memorial, the life of Maharana has been depicted by paintings. The most prominent being a caricature of Maharana Pratap slicing the Mughal officer along with his horse into 2 pieces with a single blow of his sword. During the battle of Haldighati Mughal officer had challenged Maharana Pratap for a duel fight. 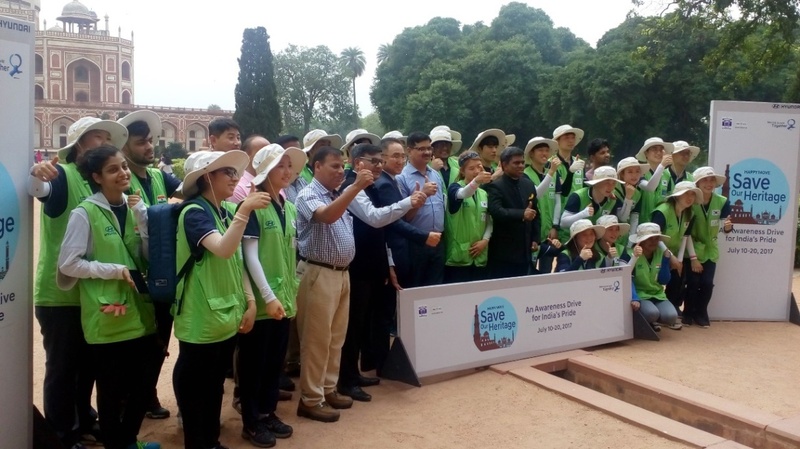 Next in the line was beautiful aura of lush green lawns, gardens, marble art and fountains, the place known as Saheliyon Ki Badi. 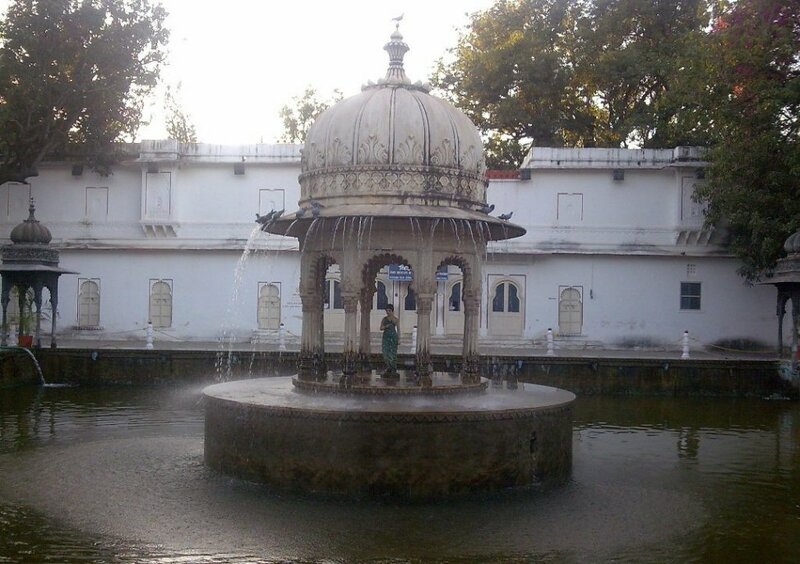 Built by Rana Sangram Singh, the place used to serve as the recreation spot for the royal maids. 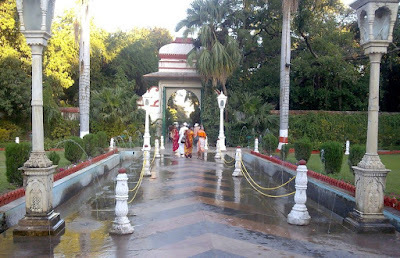 Notable feature here is the white marble umbrella/ chhatri type of fountain at the centre. Water dripping down in the form of thin sprays from the terrace of the cenotaphs shaped like birds, create a wonderful sight like singing rains. The Saheliyon-ki-Bari opens from 8 AM to 5 PM. 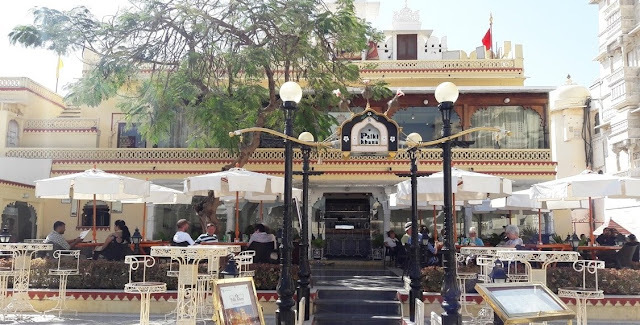 We may have clicked numerous pictures and enjoyed some great food here, but what which can not be expressed fully in the words is the experience and remarkable hospitality of the people. Something is there in the Udaipur weather. For food lovers, Sukhadia Circle is the epitome of satiating the taste buds. Come early and secure a place, else enjoy the fountains while waiting for your turn at the food stalls. Every moment in Udaipur is exploration of amazing history of our motherland and some memorable romantic moments with the soil of this region. 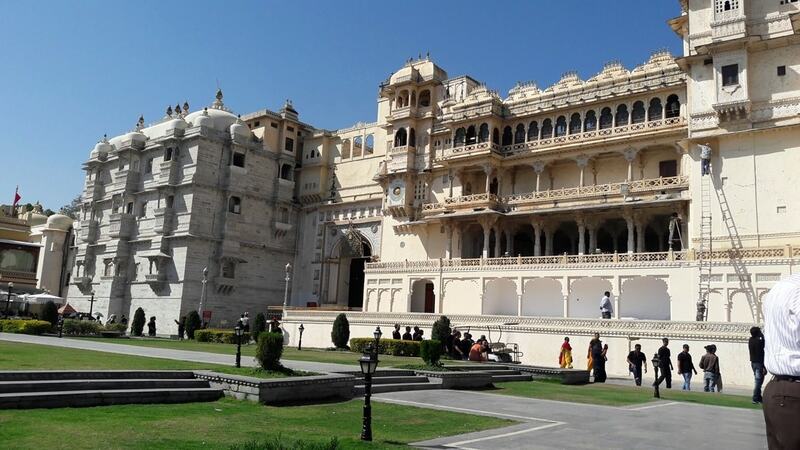 Not only Udaipur city history is spread outside of Udaipur too, take some time to follow the trail of Maharana Pratap and the battle of Haldighati.